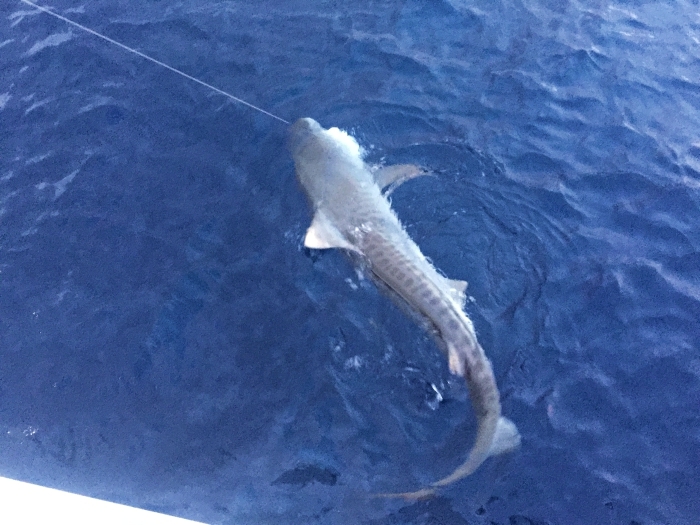 Latham Island Live Aboard Yacht Charters - Join us onboard today! 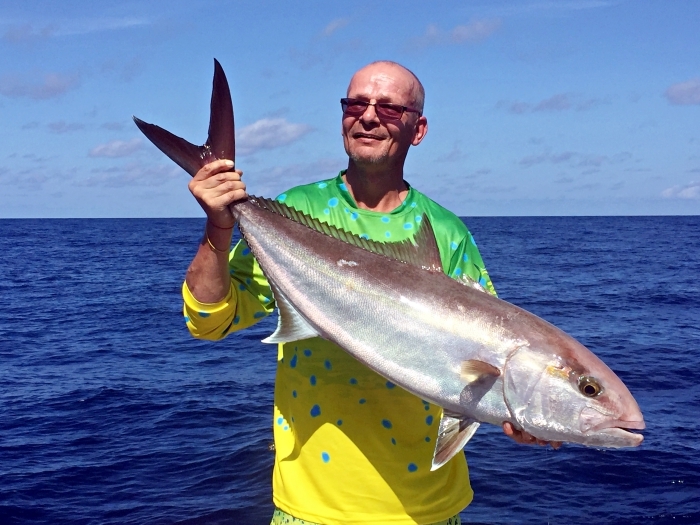 LATHAM ISLAND LIVE ABOARD FISHING DESTINATION! 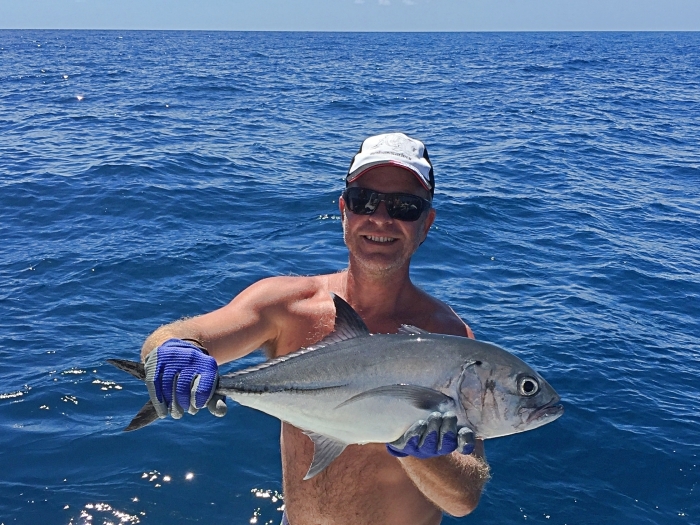 At Latham Island Live Aboard Fishing is what it is all about! Our yachts visit Latham during the calm periods from October to mid December and again from late February to early April. 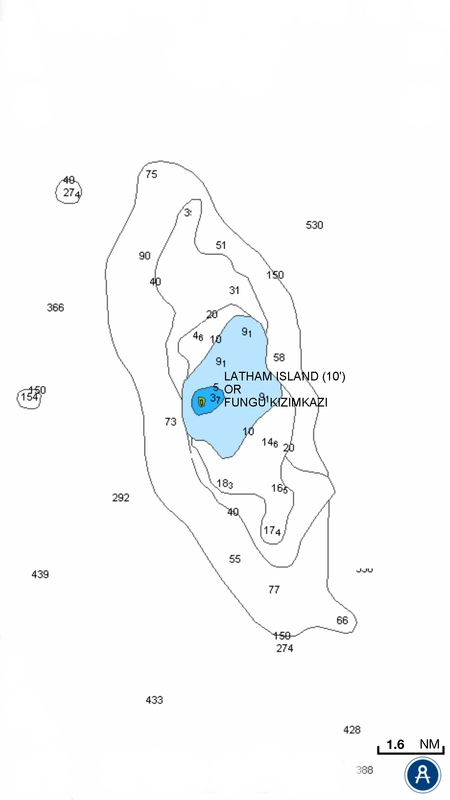 Latham island has several local names in addition to Fungu Kizimkazi, the most Notable of which are Fungu la Mbarak. After the Arab who had the right to collect wreckage there in the reign of Seyid Barghash who was the (Sultan of Zanzibar). The island was featured on an early sixteenth century Portuguese map. It derives its present name from the East Indian man Latham who rediscovered it in 1758. 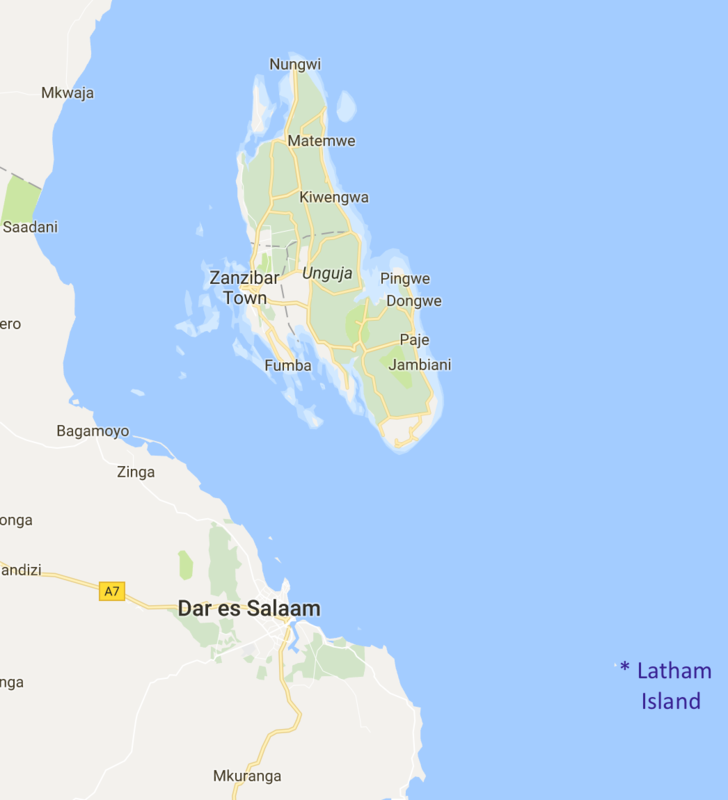 Latham Island is a flat coral island located 60 km southeast of Unguja and 66 km east of Dar es Salaam. Specifically it is roughly 300 meters long and 300 meters wide, and has an area of 0.03 square kilometers. Furthermore the island is surrounded by a fringing reef and is oceanic. Oceanic as it lies off the continental shelf and is surrounded by deep water. 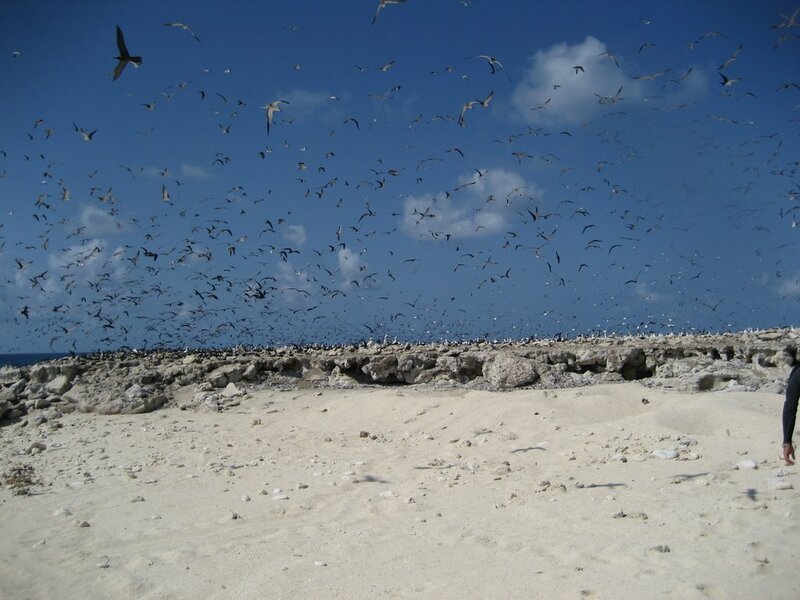 In Particular, the island is an important breeding ground for various sea bird species. 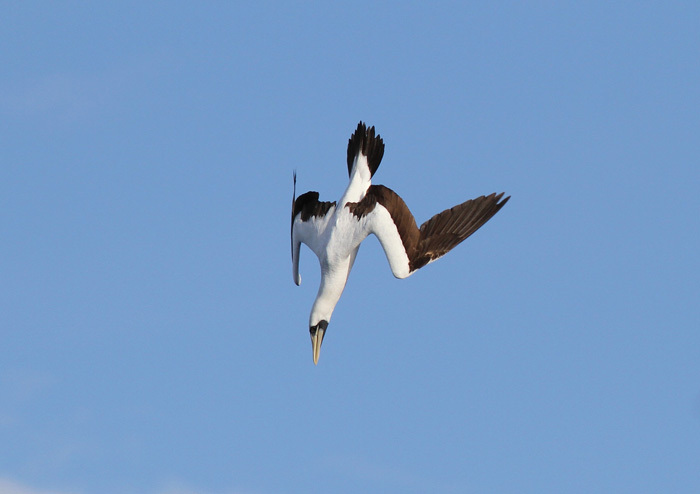 For instance the masked booby, greater crested tern, sooty tern and the brown noddy. Another key point is that the Island is also thought to be of importance for nesting turtles. 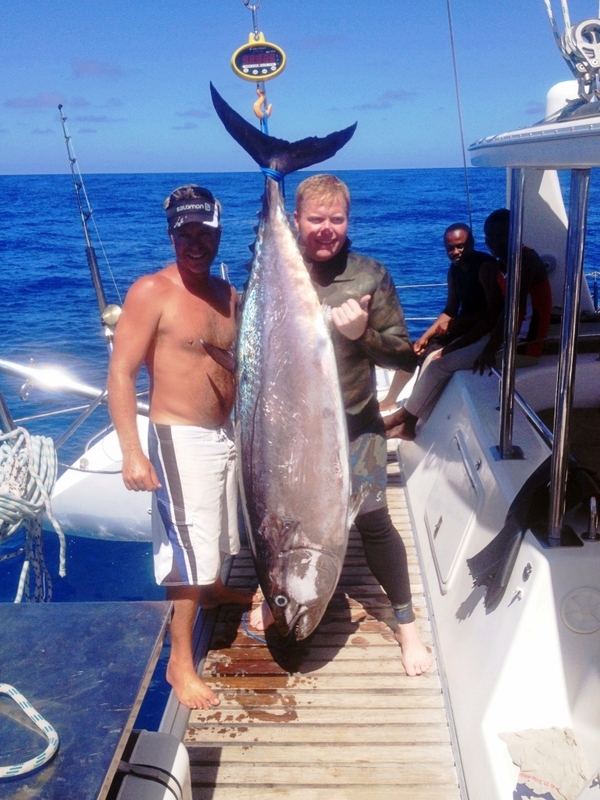 Of all the fishing destinations here in East Africa, Latham Island holds dear to many anglers. Markedly for one incredible species of fish, The Giant Dogtooth Tuna! 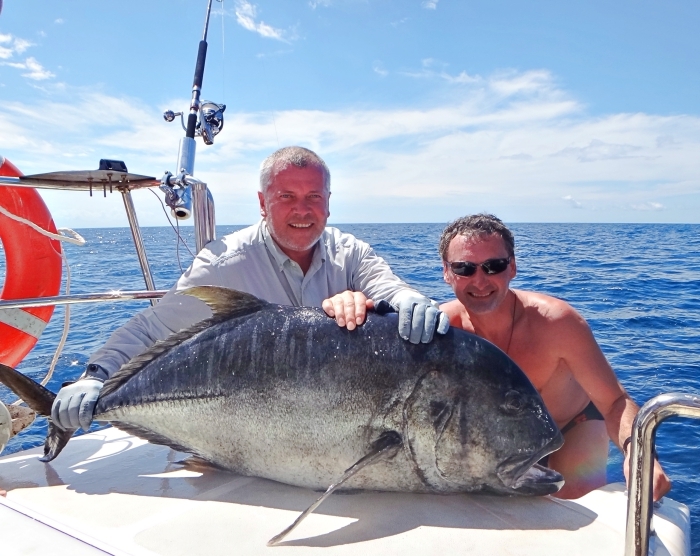 Incredibly this island has produced some World Record size Dogtooth Tuna over the past few years. 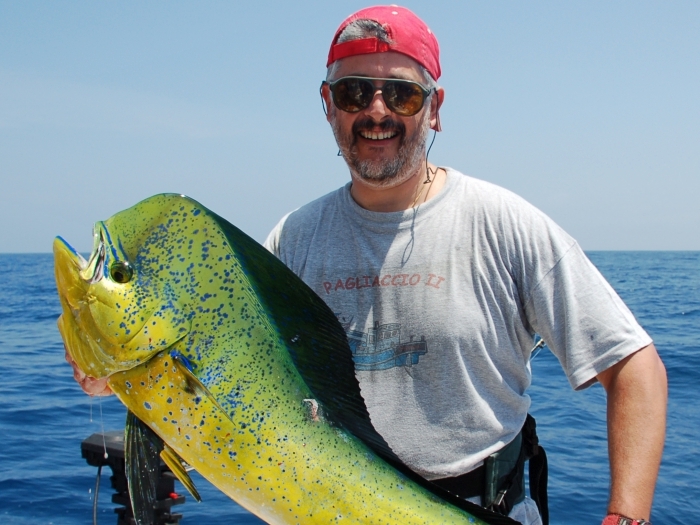 It is no wonder that anglers around the world dream of getting the opportunity to fish this fantastic oceanic island! Furthermore the Island and surrounds also produces some good Swordfish. Known in Latin as “The Gladiator of the Sea”, the Swordfish will test your skills as an angler and will put up a tremendous fight. 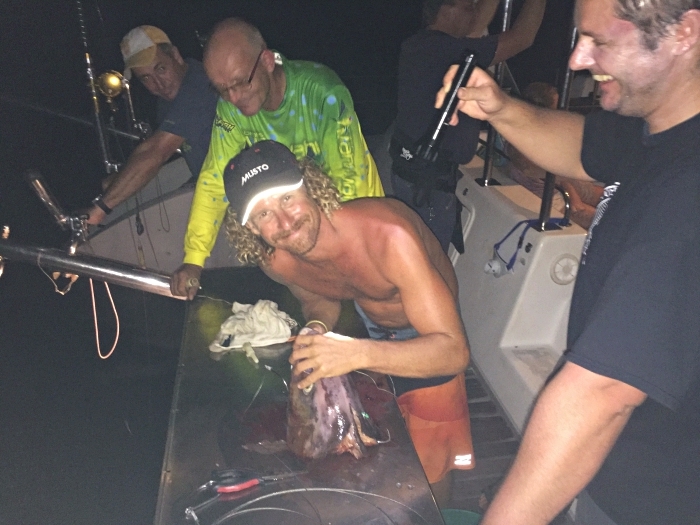 We target Swordfish by trolling rigged “natural deadbeats” with light sticks or by drifting. We fish Latham during the calmer months of October through to mid December. Than again from late February through to end of April. Almaco Jack on vertical jig! 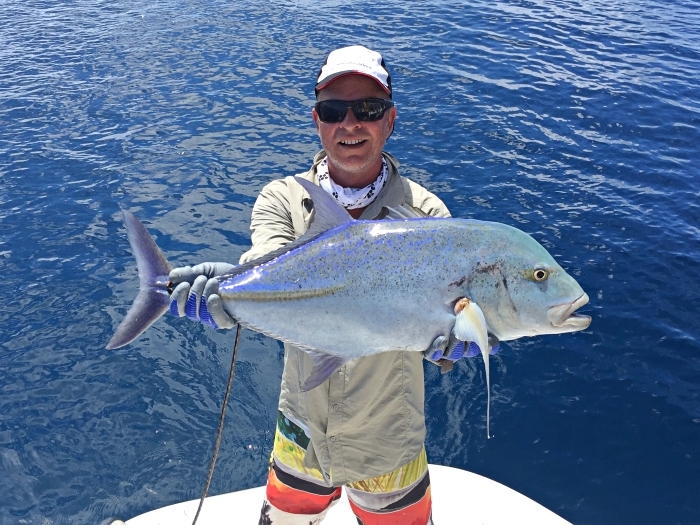 BOOK YOUR LATHAM ISLAND FISHING ADVENTURE NOW!